While there's official Lord of the Rings (and The Hobbit!) LEGO sets, to keep them affordable and able to fit on a store shelf they're kept small and fairly basic. So the official Helm's Deep set looks nothing like this monstrosity. 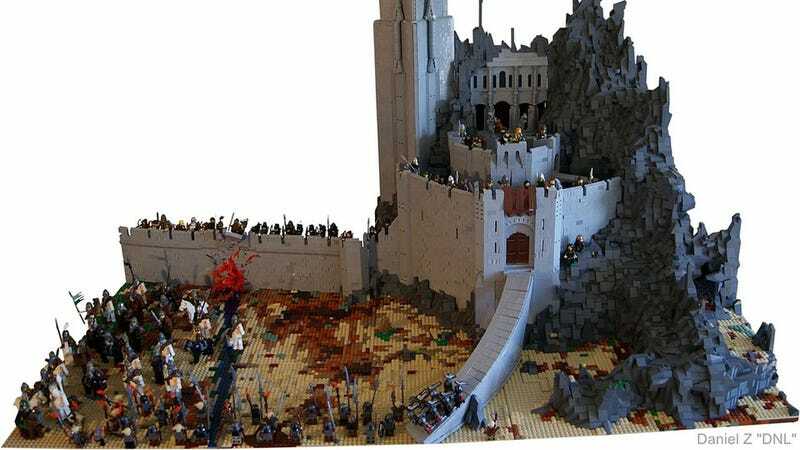 Built as a promo centrepiece for a store in Oslo, Norway, Daniel Z's massive model contains everything you'd need to recreate the most badass battle of the series, including an exploding wall, a tossed dwarf and some Rohirrim who figured it was better late than never.